Updated Monday January 14, 2019 by John Denneen. 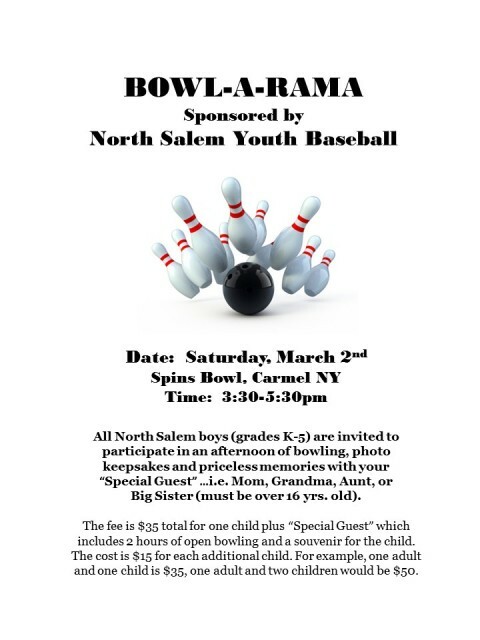 To register for 2019 Bowl-A-Rama, log in to your SI Play account and click the "Registration" button. External links are provided for reference purposes. North Salem Little League is not responsible for the content of external Internet sites. Copyright North Salem Little League All rights Reserved.